Himalayan Pink Salts contain an amazing 84 minerals and is well known for its detoxifying and skin softening properties. Often used in high-end spa treatments, it is said that it is the purest salt found on the planet! Well known for its therapeutic properties since ancient times, the dead sea attracts people from all over the world. 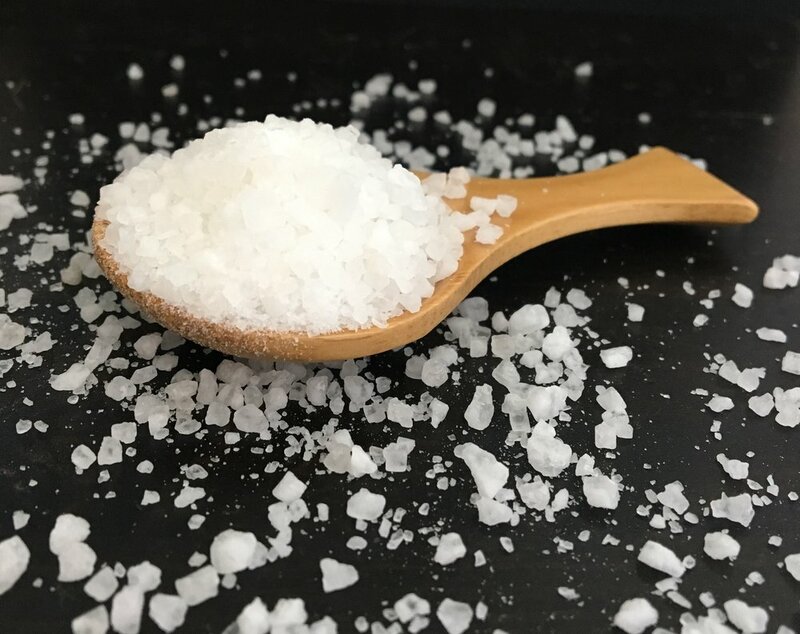 Dead Sea salts are reported to have the many benefits including; reducing inflammation, relieving psoriasis, anti ageing, increasing circulation and easing arthritis. The waters from the Dead Sea are unique in that they contain 27% salts as compared to 3% in normal sea water. Epsom salts are one of Englands natural gems from Epsom in Surrey and its amazing benefits have made it popular due to it being easily absorbed into the skin. Much research has been completed over the years and many reports suggest that Epsom Salts help to relieve stress by promoting the production of serotonin and the absorption of magnesium helps reduce inflammation in muscles and joints. It also helps improve circulation which can help prevent cardiovascular illness. This high quality oil from France is renowned for its ability to relax and promote a restful nights sleep. Slightly less well known are its amazing regenerative properties which help burns, cuts, bites and stings and can help to relieve psoriasis, eczema and acne. Found in the South Sea Islands, the exotic ylang ylang flower oil increases the feeling of wellbeing and aids relaxation by easing any feelings of anxiety or depression. Its calming properties can help to lower blood pressure and breathing rates. Rosemary stimulates the nervous system which helps improve memory, concentration and mental alertness. It revives us when feeling tired as well as having excellent antibacterial, antiviral and anti-inflammatory properties. Cedarwood is grounding and calming and great at tackling feelings of negativity. It also helps to heal and soothe the skin and aid detox. Grapefruit is excellent for boosting circulation, reducing water retention and toning the skin at the same time as having a revitalising effect on the mind with its zesty scent. 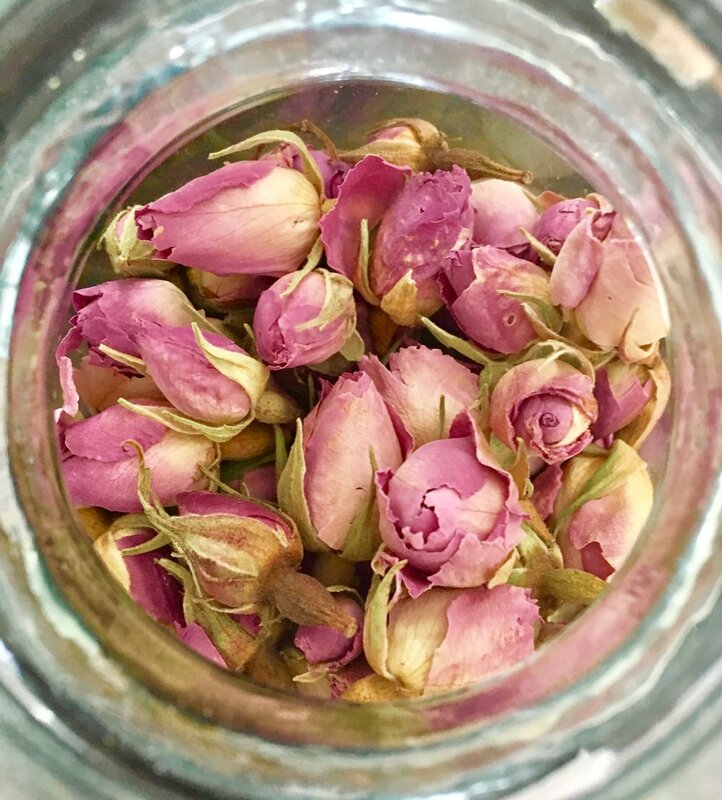 From Madagascar, this gorgeous rose scented geranium oil balances the emotions while uplifting the spirit. From the flowering tops and leaves of the orange tree, petitgrain helps to calm the body and mind. With its woody aroma, it helps to ground us during times of panic or anger. The sap from the frankincense tree is also known as the ‘pearl of the desert’ and found in north-east Africa. It has been popular since ancient times for its healing and spiritual properties and has the ability to slow down and deepen the breath. Frankincense increases focus and energy, an ideal oil when stressed or overwhelmed. Myrrh is royalty in the world of essential oils with its ability to help delay signs of ageing and heal chapped, broken skin as well as being a powerful antiseptic. Myrrh also enhances wellbeing during difficult times. The Ravensara tree is found in Madagascar and grows up to 20 meters with its leaves being used to create this stimulating and reviving oil. It helps to lift negative thoughts and clear the mind as well as support the immune system during times of stress. From beautiful Brazil, Mandarin oil is relaxing yet uplifting and has antiseptic and anti fungal properties. It can help reduce the appearance of cellulite and helps heal by aiding the regeneration of skin cells. 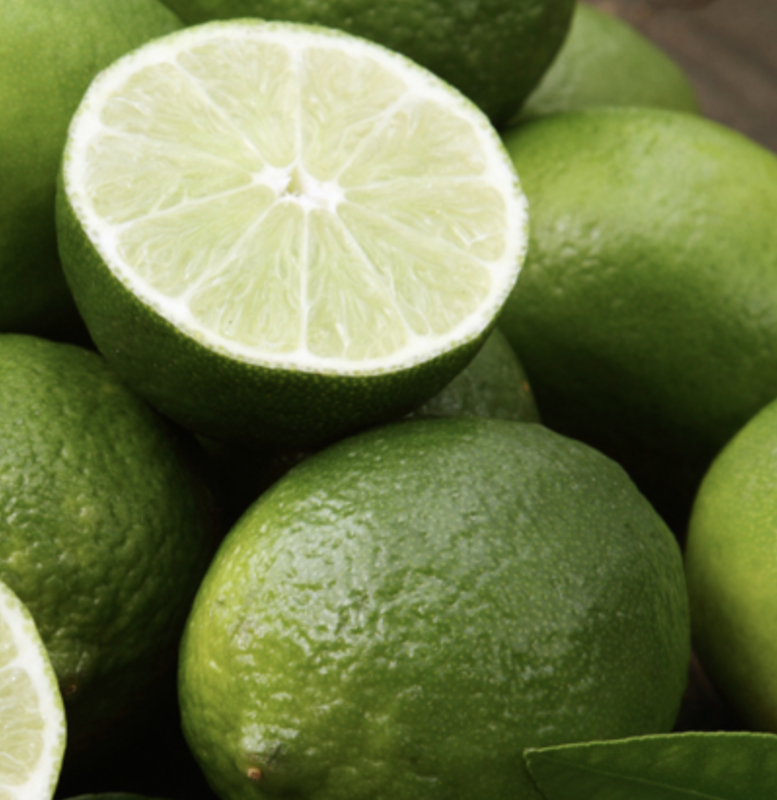 The refreshing scent of lime relieves stress and exhaustion as well as being a prime oil for reducing water retention and boosting metabolism. This luxurious oil from France has been clinically proven to help minimise the appearance of wrinkles and rejuvenate the skin. It has traditionally been used to help with eczema, psoriasis, dermatitis, UV damage, brittle nails and premature ageing. Hemp oil contains the highest number of essential fatty acids as well as being rich in Omega 3 oils which helps the skin to trap moisture, enhancing our natural defences against pollution and the sun. It also helps to reduce the formation of wrinkles due to its high vitamin E content. Protecting and healing for the skin, macadamia nut oil is deeply moisturising and great for weather damaged skin. Great for all skin types including sensitive skin, sweet almond oil prevents moisture loss as well as soothes dry, irritated skin. Extracted from the cacao bean, cocoa butter is fantastic for dry skin by providing a barrier against moisture loss and environmental damage. We only use unrefined cocoa butter which has a higher mineral and vitamin content, which increases the skin conditioning properties. Extracted from the seed of the African Shea Tree, our shea butter is unrefined to maximise the natural properties and oils. Shea contains Vitamins A, E and F and is able to penetrate the skin without clogging pores, allowing the skin to breathe. Well known for its moisturising and nourishing properties, coconut oil also has an anti-inflammatory effect on skin with dermatitis, eczema andshaving rashes. 100% extraction from the soy bean, tocopherol is a natural antioxidant to stop peroxides forming in products which contain oils. Tocopherol acetate is a non natural version of vitamin E, however this is required in products where it needs to be added at higher temperatures, as natural vitamin E is diminished by heat. OliveM 1000 is a PEG-free emulsifier derived from olive oil and has a deep moisturising effect on the skin. It is biodegradable and validated by ECOCERT. Our cetyl alcohol is derived from coconut and used as an emulsifier and thickening agent. This organic preservative compound is non paraben based and conforms to the requirements of ECOCERT & COSMOS. As much as we would love to, Bella Rock products are not intended to treat, cure or prevent any disease or illness.